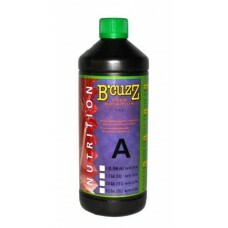 This 2-part (A & B) coco nutrient formula was developed for use with coco coir growing media in growing pots or bags (non-recirculating systems). Atami B'cuzz Coco Nutrition liquid nutrient has been adjusted to the properties of the coconut substrate, it also contains natural compounds, humus-acids and fulvinic-acids through which the plant can optimally absorb all nutrient. Coco Nutrition Component A contains natural chelates, humic acids and fulvinic acids through which the plant can optimally absorb all nutrients. Use B'cuzz Coco Nutrition to fulfill both the vegetative and flowering stages of the plants life; there is no vegetative and flowering formula as there are with other Atami products. Instead, you simply increase the amount of Atami Coco during the bloom stage and add PK 13-14 at the onset of flowering. The Low Tide Cloner Tray is the newest addition to our expanding line of trays. The tray is designed.. The Ideal H2O® John Guest fitting line offers a wide range of push-fit quick connect fittings for pu..
B'Cuzz® Blossom Builder liquid will increase the size and mass of flowers. Specifically created for ..